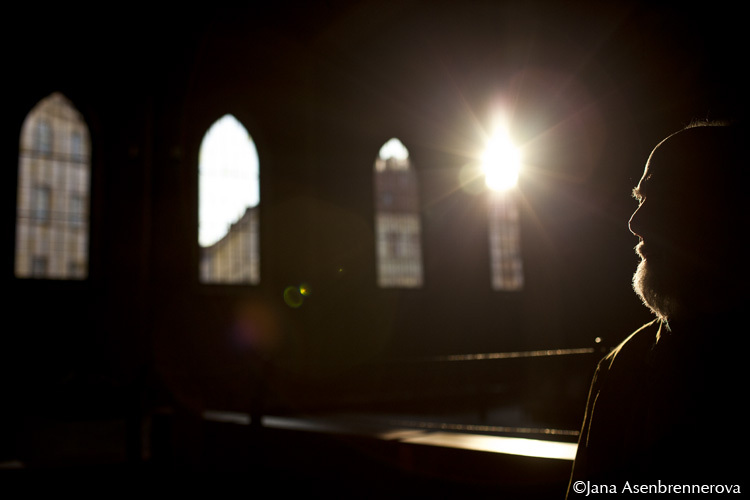 Friend and a former teacher of mine - Czech film editor Josef Valušiak inside of the Bethlehem Chapel in Prague. When I sent Josef this photograph he called me to share that: "This is my favorite portrait of myself for two reasons. First, I love the light in the Chapel, second, I can't be recognized.."
Damn. I wish I'd taken this shot.